I love this new t shirt that we are selling in our IDSC store! March 21, 3/21, is World Down Syndrome Day. 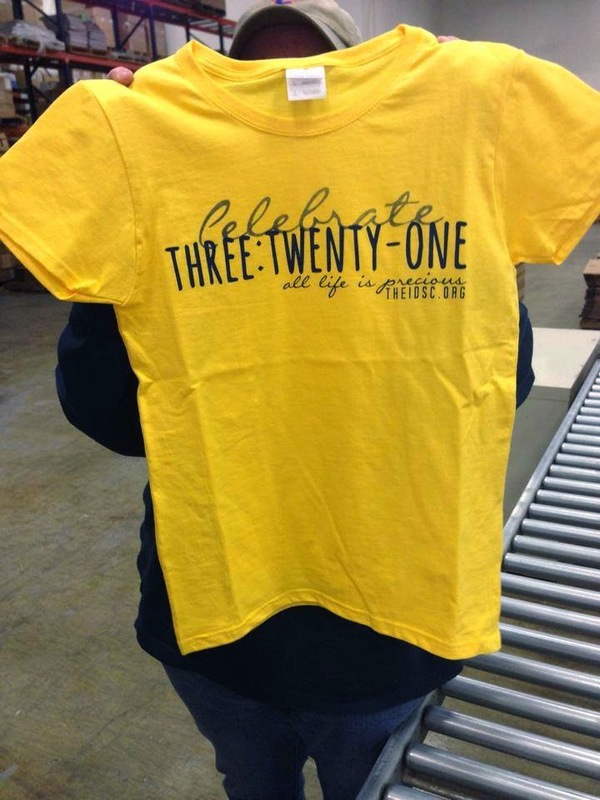 Celebrate Three:Twenty-One with us! Get your shirt today by going to our IDSC Store! Everything, including this shirt, is on sale (20 % off) through World Down Syndrome Day, (AKA March 21)! Option to rush the order so you can have it in time for World Down Syndrome Day! I just ordered 7 for my family! I love it! Come celebrate with us! This entry was posted on Friday, March 14, 2014 and is filed under 3:21,Celebrate,Three:Twenty-One,World Down Syndrome Day. You can follow any responses to this entry through the RSS 2.0. You can leave a response.